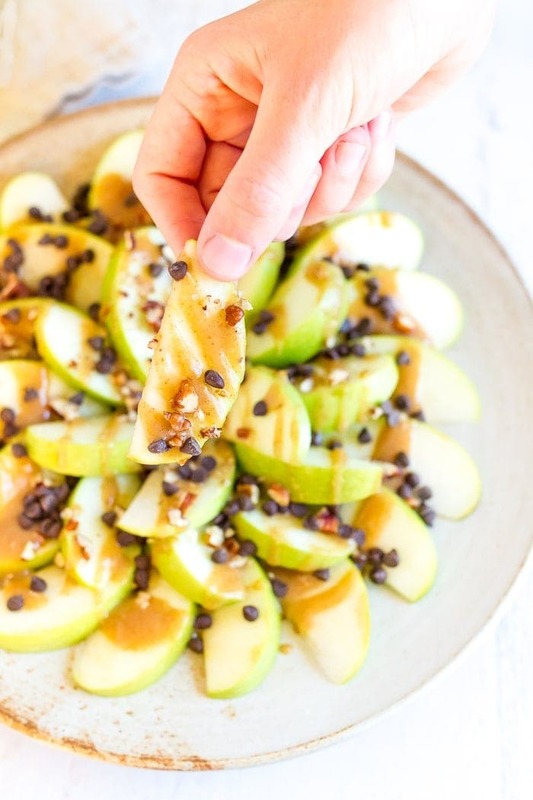 These healthy apple nachos are sure to satisfy even the strongest sugar craving; sliced apples piled high with date caramel, chocolate chips, and nuts. Vegan + gluten-free. 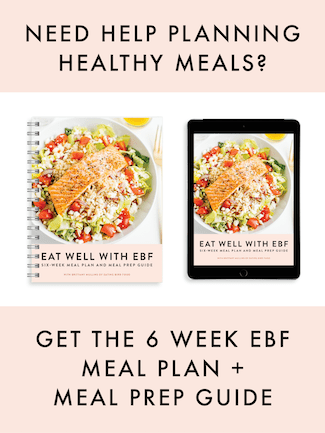 Before I get into this recipe I wanted to share a little update as there are some things that are happening over here at EBF this fall. For one, the team is growing and we currently have two interns, Maria and Sarah. When Maria isn’t helping out in the kitchen for recipe development and photo shoots, she works on social media projects and puts her amazing design skills to use for graphics, ebooks and any other design projects that pop up. Remember the Seven Slimming Salads ebook? That was one of the first things she designed after coming on board. As soon as I saw this ebook I knew I had lucked out because she is crazy talented!! Maria is still part of the team, but she graduated from VCU in May and is currently looking for a full time design job. I’m so bummed to lose her as she’s been such an asset, but I’m excited for her to spread her wings and move forward with her career. I know she’ll do great things! Our new intern, Sarah, just started this fall so she’s been learning the ropes and getting involved in a few projects including recipe testing, editorial calendar brainstorm sessions and learning the ins and outs of wordpress so that she can help out with putting together everything needed behind the scenes for a blog post to go live. 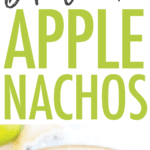 This healthy apple nachos post is actually her first assignment and she rocked it. I can already tell that she’s going to be a lovely additional to the EBF team. One other exciting announcement is that Isaac and I are going to Israel next month!! Ever since Isaac’s Birthright trip a fews years ago we’ve wanted to plan a trip together and I’m so pumped that it’s finally happening. I’ll be sharing our journey on Instagram and here on the blog, but in the meantime if you’ve been to Israel (or live there) I’d love any suggestions you have of things to do, sights to see and places to eat. Alright, let’s get into these apple nachos! Remember that date caramel sauce I posted last week? Well these nachos are putting it to good use. 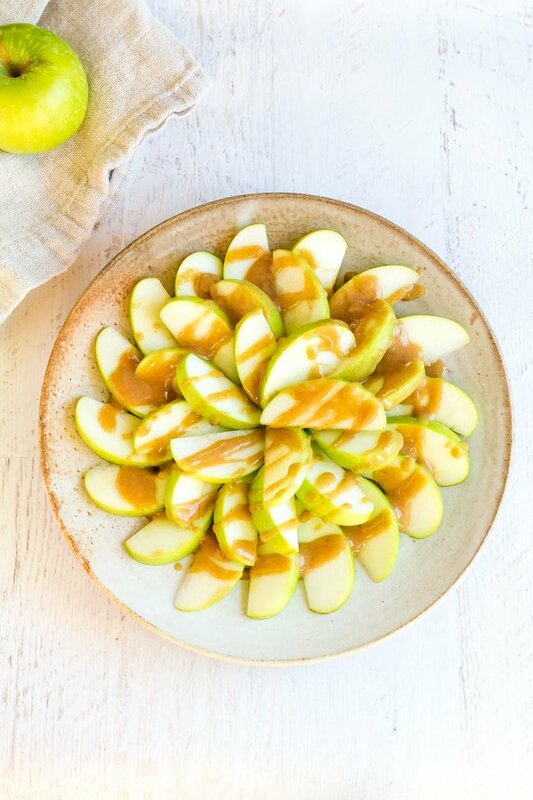 They pair together the crisp, tart taste of a fresh apple with the sweet and creamy date caramel sauce to make a healthy snack that is reminiscent of a caramel apple, yet somehow even better! 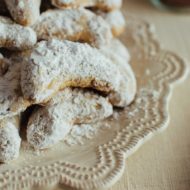 I honestly don’t know what the best part of this recipe is; its versatility or the fact that the ingredients are truly delicious and come from real ingredients. It’s also crazy simple — we’re talking no oven (unless you choose to toast the nuts; which would be a delicious option to try out), minimal dishes, and a whole lot of sweet-tooth satisfaction, providing you with the opportunity to use those fresh picked apples without having to deal with the typical process that comes along with them. 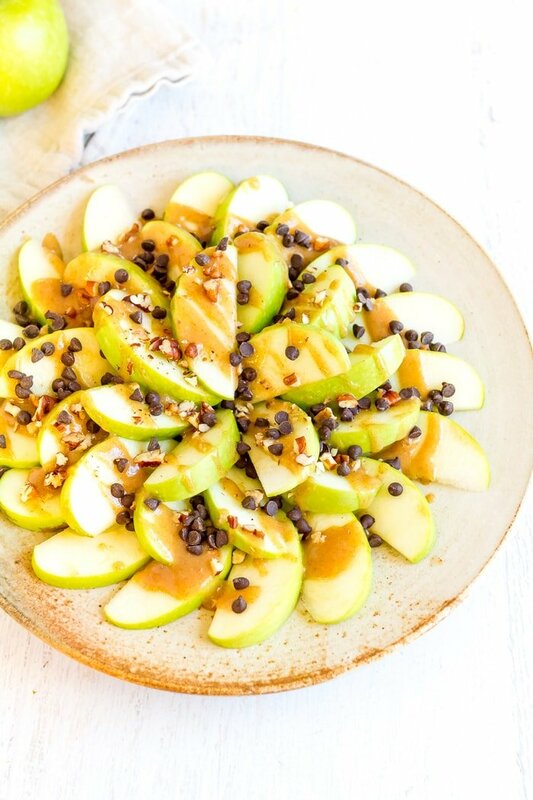 Once you’ve sliced your apple and drizzled on the creamy goodness that is the date caramel sauce, you finish with a sprinkle of chocolate chips and chopped nuts. While any chocolate would be delicious on these healthy apple nachos, I prefer to use dark chocolate chips because I find that the bitter taste of the dark chocolate compliments the sweet and saltiness of the caramel perfectly. 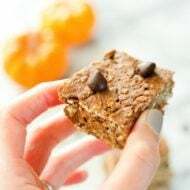 While they add a fantastic flavor to the mix, they also give an extra antioxidant boost to this already fiber-rich treat. 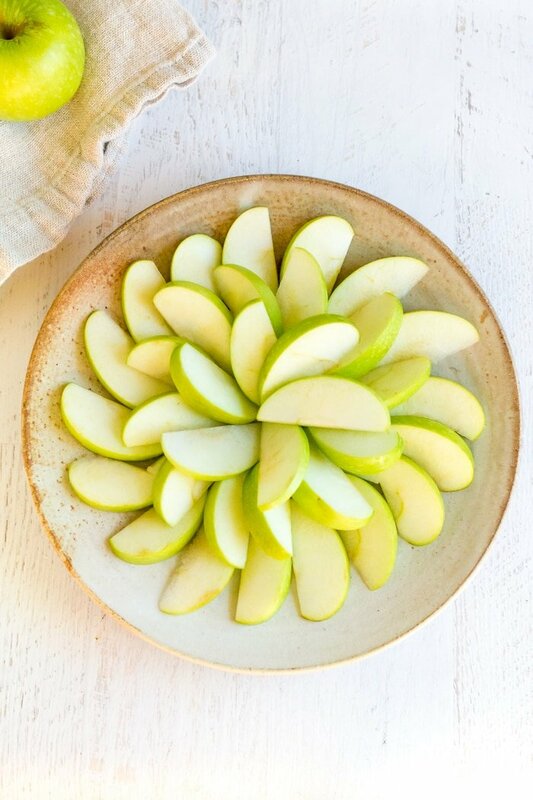 This recipe is actually take on the chocolate and almond butter apple nachos featured in my DIY Snacks article in the March/April 2017 edition of Seventeen Magazine. I love almond butter, but I feel like this date caramel version might be even better… and it’s definitely more seasonally appropriate! If you’re feeling nutty, you could try adding a tablespoon of your favorite nut butter (along with the date caramel) for an extra boost of protein! My motto = when in doubt… add nut butter. 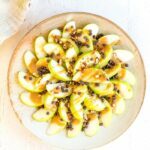 If you make these healthy apple nachos with date caramel sauce, please be sure to leave a comment and star rating below letting me know how it turns out. Your feedback is so helpful for the EBF team and other EBF readers. Wash and slice the apple, leaving the skin on. Add date caramel sauce on top of the sliced apples. Sprinkle on chocolate chips, chopped nuts and any other toppings of choice. For toasting the pecans, turn oven to 350° F and spread the nuts out evenly on a baking sheet. Bake until golden for 5-10 minutes. Or skip the nuts and drizzle a tablespoon of nut butter over the top of the nachos to add a salty flavor, and some extra protein. Thanks Tara. I hope you get a chance to try this version!! Had been scouring the internet for easy vegan caramel recipes and landed on this gem! Just finished devouring one of the most amazing apple snacks of my life!! Thank YOU!! !